Have you ever visited a site while shopping and come across something that takes your breath away? 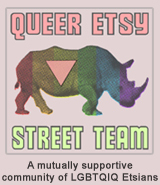 Today's shop is one of those for me and I think it will be for you too. When you think of the delicate structure of nature's creation, the leaf, it's one of those things that brings to mind a certain amount of intricate delicacy that only nature itself can create. When you think of concrete, on the other hand, (or when I do)... what comes to mind is sidewalks and buildings, architecture and cities. Today's shop, Concrete Impressions on Etsy, has found a way to combine these two seemingly opposing entities into beautiful art. 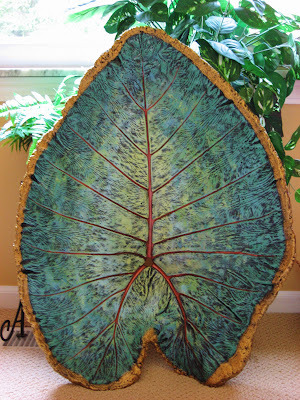 The artist creates unique, beautiful cast leaves created in concrete that are then hand painted with an eye for color and detail. Raspberry leaves and sycamore leaves sit beside leaf castings from hostas, begonias, hydrangeas and more in this shop that's filled with the beauty of nature and creativity of man combined. Terry, the artist who creates these amazing works of art, also takes custom orders! So if you want something to match your decor or have an idea you need some help bringing to life, be sure to send him a note and let him know! YOU CAN CLICK ON THE PICTURE ABOVE TO VISIT CONCRETE IMPRESSIONS ON ETSY AND TAKE A LOOK AROUND OR, IF YOU PREFER, YOU CAN CLICK RIGHT HERE!